This interactive outdoor campaign by Lew’Lara is a sleepy one, which is exactly what this ad agency from Brazil intended. The shop set up a digital panel equipped with a motion sensor at Sao Paulo’s Fradique Coutinho subway station at morning rush hour. 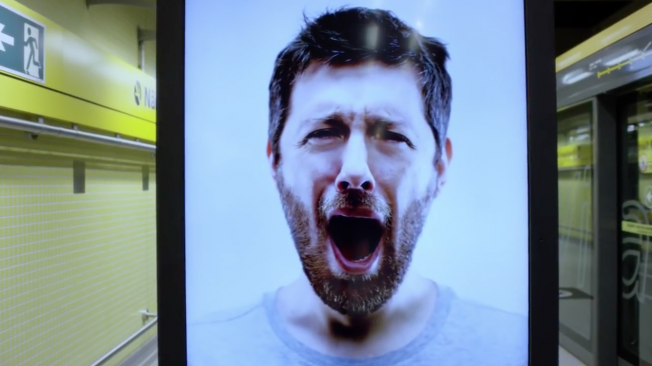 When commuters would approach the digital sign, the face on the panel would begin yawning. Naturally, many of the commuters themselves also began yawning, seeing it is contagious after all – at which the point of this ad campaign was achieved. This was an ad campaign that put you to sleep but also made you think about the brand. Check out the video for more on this contagious billboard.